After talking face to face with builders and remodelers and discussing their key concerns, MGM designed a pvc vinyl replacement window that has resolved those concerns. We've made installing vinyl windows into an existing home easier than ever. The 4010, 4600 and 4710 windows with low-E/argon gas meet federal requirements for the 2009 Energy Tax Credit for up to $1,500. 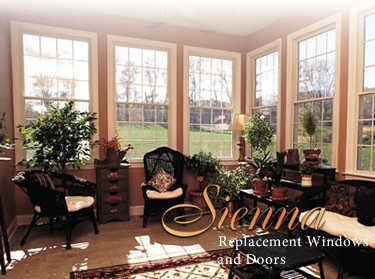 To visit the sienna window system website please click here. *Be sure to ask about MGM's new PVC Vinyl Paint Technology for new color options.